The California Range is the latest product to hit the Aussie Market. Manufactured from recycled pine timber in a clear finish, the California Range gives a modern warehouse look. 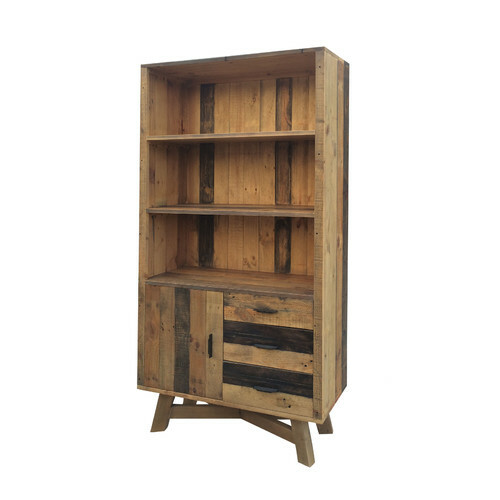 The recycled timber shows its natural colours and grain making any scratches over time look like part of its beautifully distressed finish. Holes, cracks, splitting, roughness and unevenness are all inherent imperfections which add to the character of the item. No 2 pieces will be the same in colour or texture. This is a natural occurrence for this type of product. When you buy a Recycled Pine California Display Case online from Temple & Webster in Australia, we make it as easy as possible for you to find out when your product will be delivered to your home in Melbourne, Sydney or any major city. You can check on a delivery estimate for the By Designs Part #: 7011 here. If you have any questions about your purchase or any other Bookcases & Shelving Units product for sale our customer service representatives are available to help.Whether you just want to buy a Recycled Pine California Display Case or shop for your entire home, Temple & Webster has a zillion things home.